As you can probably imagine, I’m super picky when it comes to food blogs and recipe sites. I have high standards for myself and when it comes to stuff I really care about — like food, recipes, and writing — I tend to expect high quality from others, too. My list of go-to blogs for recipes and snappy writing is pretty short, and Nom Nom Paleo has a prominent place on that list. I’m not sure if she knows this, but our friendship was launched before we’d ever exchanged an email or met each other. Way, way back in the day, when Dave and I first started tossing around the idea of a cookbook, we planned to call it “Paleo Nom Nom.” We even bought that URL and started planning the web site. Then one day I stumbled across Nom Nom Paleo. I was devastated — my new web site and cookbook title were gone. But then I got over it and started to get excited, because I liked Nom Nom’s vibe, her recipes, her photos… she won me over with her Nom-Nom-iness. And now I can’t imagine the world any other way. With Nom Nom Paleo and FitBomb at the helm, I knew the recipes were going to be delicious and the photography was going to gorgeous — but it’s also a very good interactive app. The user interface is flexible and easy to use, with plenty of ways to move through the information, depending on your preferences. It’s slick and friendly and beautiful. The app includes 53 mouthwatering recipes to start, and you can beef that baby up with additional 10-recipe sets. One of my favorite things about the app is the various ways you can browse the recipes. They’re categorized by ingredient (Bacon! ), meal part (Sides, Main Dishes, etc. ), Cooking Method (Slow Cooker, Sous Vide), and Whole30 compliance. And once you’ve picked your recipe, the options don’t stop there. 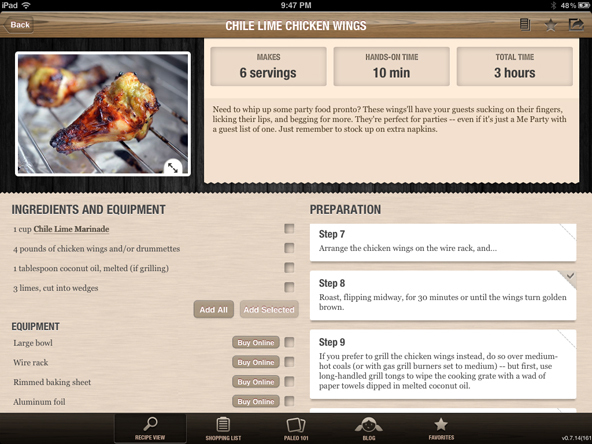 You can page through each recipe step by step or use the card view to see ingredients and instructions on one page. In addition to instruction marked by Nom Nom Paleo’s trademark wit and friendly voice, the app lets you add recipes to a list of favorites for fast reference, easily add ingredients to a shopping list that you can email to yourself (or your designated grocery shopper! 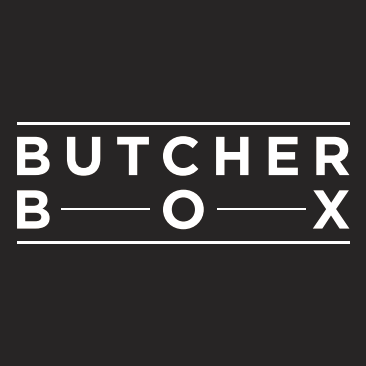 ), and convenient links to the web to buy cooking equipment or visit the Nom Nom Paleo web site. The whole experience is smooth and seamless. FitBomb worked his camera magic, and these two — who are crazy in just the right way — documented each step of each recipe. That means the app is bursting with 1,500 stunning photographs. No, that’s not a typo. Fifteen hundred BEAUTIFUL photos. I can tell you from experience, getting that many good shots is not easy. I am especially excited about dukkah, a condiment made of pistachios, hazelnuts, sesame seeds, coriander, and cumin. It sounds like it was invented from a list of my favorite things! But it’s more than just recipes. There are all kinds of extra bites of content to help paloe newbies and old-hands refine their approach to eating,managing the kitchen, and getting meals on the table. Now we get to the really good stuff. Nom Nom has graciously offered up three prize packs, so I’ll randomly choose three winners from the entries. UPDATE 07/16/12: We have our winners! Congratulations to Stephanie F., Mandi, and JAM! 1. 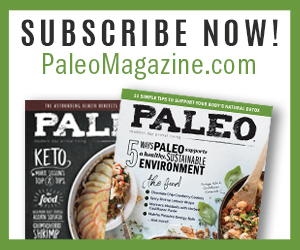 Sign up for the Nom Nom Paleo newsletter to get delicious news delivered to your inbox. 2. Sign up for my newsletter for a communique from me once a month with cool stuff that doesn’t make it into my blog. Then post to comments to let me know you signed up, and you’re good to go! That’s it! So easy! Of course, instead of leaving it in the hands of fate, you could just go buy a copy of the app now. You should probably to that! Available in the iTunes Store! Signed up and confirmed! Always love reading your stuff! I am so signed up! Signed up for both newsletters! Thanks for the giveaway! Signed up and CONFIRMED! Yippee!!! I have the app and love it, but would be happy to share it with a friend or family. Those awesome socks, though, I would keep! Oh, yes….and I’M SIGNED UP! Signed up for both newsletters! Thinking winning thoughts! Thank you! Subscribed! How cool – a review of one of my favorite bloggers by one of my other favorite bloggers. So excited!! All signed up and ready to rock! I signed up!! I already have the Nom Nom App, but would love some of the packs! Definitely LOVE the socks too!! I’m in! This app looks amazing! now…If I could just get my hands on an ipad…. Just signed up at Nom Nom — thanks for the reminder of another great site. There is only so much time in the day to check out good sites & I had forgotten them. You’ve given me another good reason to break down & buy an iPad! I’m signed up! Haven’t committed to paleo yet, but I’m thiiiiisss close. Yay! All signed up! Don’t know how I missed these newsletters before! Already signed up for both. Thanks! I signed up for both!! 🙂 love both your blogs, and would looooove the app and socks! All signed up! Love those socks!! Whoa! This is an exciting giveaway. Thanks to both Paleo goddesses! Confirmed, signed up for both newsletters, love the recommendation and the app review, great! Done and done. 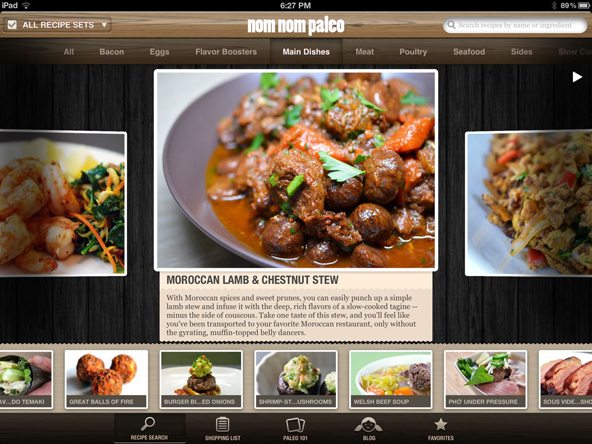 The Nom Nom Paleo app is on my wishlist, would be fun to win it here. Really loving your cookbook, thanks for being you, you rock! Signed up for both. Thanks!! Just signed up for both newsletters. Huge shout out from a fellow Austonian! Hi just signed up to both. Chicken w red pepper and onions..
and tonight is rogan josh before a Michael Pollan lecture at the opera house. good foodie times thanks for inspiring my wife to give it a go. Oh, man! This is such a great comment… I love stories like this. Thank you so much for letting me know — and congrats to you both on making the switch to paleo! Bought the iPad just for the app. I’m not kidding (it was justified). Love love love her app. What a bargain! Signed up for both newsletters! Love both sites (and the recipes on them)!! already signed up for both, and visit you both every day. 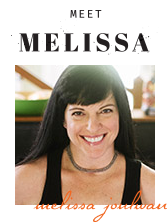 Question is, when is the Well Fed Meliscious app coming out? Hmmm? On board with both. Thank you!! Funny to find your post. I downloaded the Nom Nom app and made the Tandoori chicken. Hadn’t planned my side yet so I googled Indian Paleo and it lead me to your site. I found the cumin carrot coins and made those to accompany my dish. My family loved them. According to my son, “these carrots are so good, I need more.” After they went I bed I took time to browse your site and read your blog. Cookbook is next – I am hooked. I’m so glad you found me! And really glad your son gave the carrots his stamp of approval. YAY! 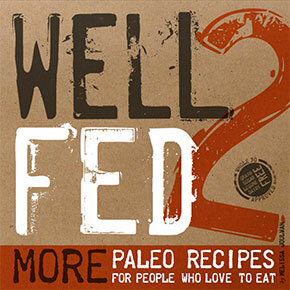 Well Fed is loaded with great recipes and paleo cooking tips. I hope you add it to your collection! Love both your site and Michelle’s site. Recipes that I’ve tried are amazing! And your Well Fed book just shipped from Amazon! Can’t wait to try out new recipes!!!! YAY! Have fun with Well Fed! Hi! I am now signed up for both newsletters! I bought my iPad a few months ago as a tool to use for your recipes….. And nom nom paleos! I love your recipes, thank you! I make the tahini dressing at least once a week, along with the curry! Its so delicious. I started making my homemade mayo….using your method ( love room temp eggs…!) and both times That i made …..PERFECT! Tomorrow I’m making your slow cooker five spice ribs! Thanks so much for sharing all your fabulous recipes, they all have been five star:)! Right on! So great to know our recipes are in regular rotation in your kitchen. Enjoy! Signed up! Thanks very much! Subscribed to both and mama needs a new pair of socks! Signed up & confirmed! Already have the app and LOVE it! Started my Whole30 this week with “Well Fed” recipes…can’t wait to add in more from NomNom! Signed up and good to go! Signed up. If anyone is having doubts – don’t. Both sites are two of the best paleo sites I’ve found. Already, cooked multiple meals from both sites – and they with a family with multiple dietary needs – they were family approved. Keep up the great work ladies! Thanks for the vote of confidence. Really appreciate it! I would love to win! Thanks for a great giveaway! I haven’t sent one yet. Fingers crossed I can get it together to send the first issue in August. Done and Done! Nom Nom! *wipes drool from screen* That Moroccan stew recipe looks fantastic! I just signed up. I was lured here by your crispy chicken livers and I just love your site. Off to make them now. Coincidentally this is perfect timing for me. Completed a whole30 and have been meaning to find more inspirational recipes. This contest works out perfectly since I would randomly stumble upon these two sites but never signed up for a newsletter and would have totally bought some of those socks if I knew about them while they were in stock. I love the enjoyment of good food created by people whose passion shows through. Thank you to both sites for many wonderful meals! I signed up for both newsletters. I have signed up for both! I’m new to all this. 36 days but whose counting? I’ve been following both sites for most of it. Thanks for the help. I’m signed up for both newsletters! All signed up. I just got an iPad for my bay so I’m upper excited for this! 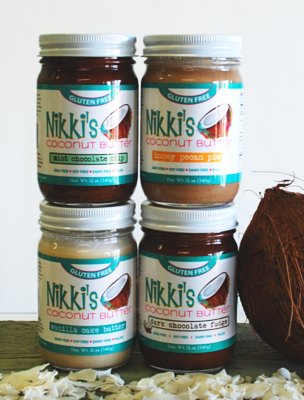 You’re blog and nom nom paleo’s are awesome! Thank you for all your knowledge! Done and done! 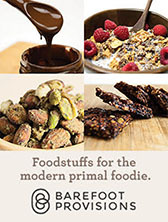 I love Nom Nom Paleo, and would love to have the app! I’ve signed up for both and will keep my fingers crossed that I win, haha. 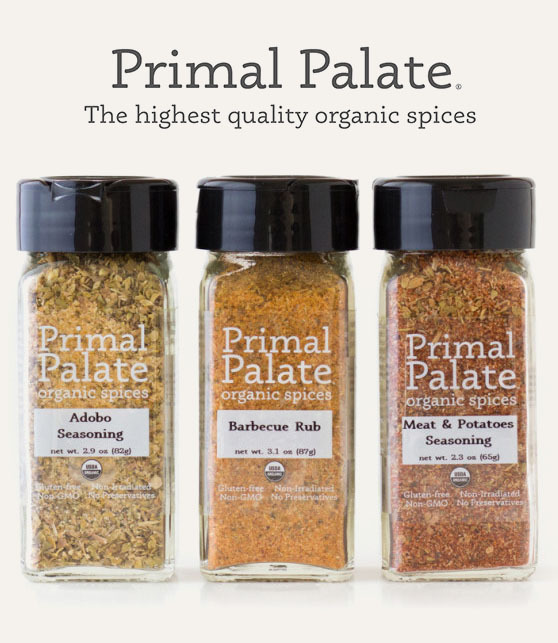 Also, I love your site and I’m so glad I found it through Nom Nom Paleo. 🙂 Your story is inspiring and, frankly, I think you rock! signed up for both your newsletters, I regularly drool over and read both your blogs, I should’ve signed up even before this giveaway. Hello! I signed up for both blogs!!! I’ve signed up for both. And I must say I love Nom Nom Paleo and Well Fed. 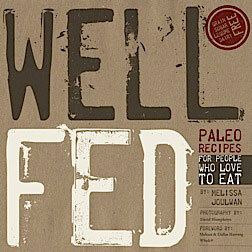 Well Fed is my go-to cookbook right now. MMMmmmmmMmmmMm. Thanks! All signed up! Thanks for the great blogs! Signed up and ready to rock out with my app out! Signed up! What a cute family photo at the end and the photos in the app of the food are truly amazing! Success! Great giveaway – thanks! Confirmation acquired x 2!!! nom nom well fed! Signed up. Two great blogs! Signed up for both. Thanks! Just signed up for both newsletters. Love both websites but didn’t even know the newsletters existed. Thanks! Nice, newsletters! All signed up. I keep getting errors when I try to sign up for either :(. But knowing me, I’m probably already subscribed. Just signed up to both, looking forward to your posts. Another from down under! I have signed up for both. Thanks! Already signed up for your newsletter and now signed up for Nom Nom’s. Thanks. signed up for both! finally decided to go gluten-free for health reasons and in searching for support found MORE paleo recipes that looked flavorful and appetizing (versus comercial, pre-packaged foods) and found your site in my searches … looking forward to receiving your book from amazon soon! Dear friends who’ve been signed up for my mailing list for a while… you haven’t erred. I’ve been lazy! But that’s all going to change! Already signed up for both, that was easy. Signed up for both newsletters. Love your book! 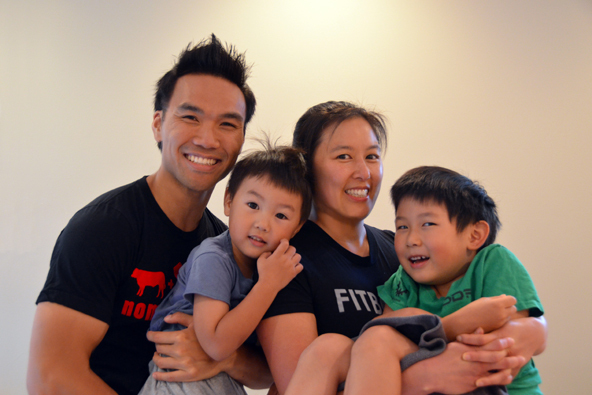 My son and I have just started paleo and your weekly cookup helps keep us going. I tell everyone how easy it is to make mayo. Who knew? I’m in… Subscribed to both! One minute to spare! I’m signed up. And your comments about nom nom are so true!!! !